I like fantasy. I think we all do, or least had to at one point to an extent. I think we all enjoy the classical medieval sort of stuff. What they call high fantasy or what I call Dungeons and Dragons fantasy. Take your pick of the name. But sadly the genre has been stuck in a rut for a while. Each book tends to hit the same beats or age old clichés. There’s a great war and a chosen are who is the reluctant hero. The army of orcs, wraiths, or ice zombies (the monster depends on the author typically) coming to rule the land in an age of man in a world of dying magic and it’s a sweeping epic with seventy characters to remember. Blah. Blah. Blah. I could go on forever. The point is, it gets old. But then I was told by a friend that I should check out The Witcher series. At first I thought he meant the video game but it turns out the games are based on a series of books. 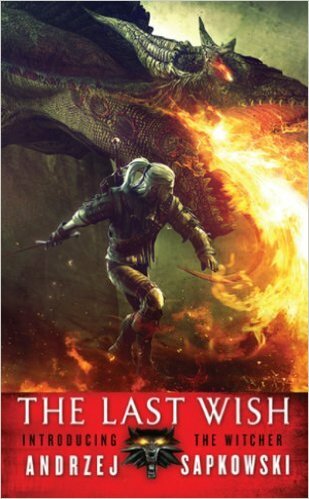 And the books since I’m currently reading have been on the meh side recently, I thought I would check out the first book called The Last Wish by Andrzej Sapkowski. So what is the book about? Well that is not straight forward as you would think, but I’ll try. The book follows Geralt of Rivea, who is a witcher. A witcher is a monster hunter, who is seen as a mutant to outsiders because of his white hair, spooky eyes, and minimal magical abilities he uses to kill monsters. Witchers were children who were taken away from their families, subjected to potions, elixirs, and multiple horrendous trials to become more superhuman to kill monsters. Then witcher schooling was outlawed after Geralt’s training. This leaves Geralt as one of the last witchers, roaming around the medieval country side looking for employment and to an extent a purpose in life. It’s told in an episodic format that could be seen as a series of short stories that both chronicle the witcher’s personal life as well build a fascinating world that feels more real than any high fantasy I read in years. The book can easily be viewed as something similar to a western. A man with no name rides into a new town and it just builds from there and keeps growing until a full character study is formed. The good? I have to hand it to the author to make this his own world. Instead of copying and pasting the same format of most fantasy books, he did something original. There is no great war. No politics. No cliché big bad guy. It’s fresh. It’s also actually a world that was based on the idea that all of fairy tales mixed with hints of traditional fantasy. Though that may not sound entirely original it’s different. And the world is surprisingly grounded with its own rules. Also I appreciate the fact that this is not a sweeping epic about the fate of the world, but this is just a tale about a man. In this world mankind has come in and eradicated magical beings to almost extinction things are changing. So elves and other mythical creatures are now being considered as novelties to people because they’re the last of their kind. Monsters are growing sparse. Geralt is barely surviving traveling from placing to place looking for jobs in world of dwindling opportunities. Between the short stories, are small three page shorts, where Geralt will be at a temple with a priestess who helped him as a child and there confesses the things he done wrong, or even question his own humanity and what the world has come to. These little bits hold powerful emotional moments. That helped to build so much character. And by the end of the sixth episode you understand Geralt and have learned to love him. It is such a strong character driven tale. Also the action scenes are spectacular. The bad? There is a love story in one of the stories and it seemed a bit awkward. He met a lady and bam! They’re in love right out of nowhere. It seemed odd considering he seemed to not care much for the woman beforehand. It just seemed strange. Also there is a dragon on the cover art. No dragon is in the book. There were plenty of other wickedly awesome monsters though. Overall, this is a tale of monster hunter trying to find work. It’s entirely character driven focused on his personal journey rather than an epic tale. Told in an episodic fashion, it has a TV show feel and the ending even leaves with a mid-season cliff hanger feel sadly. 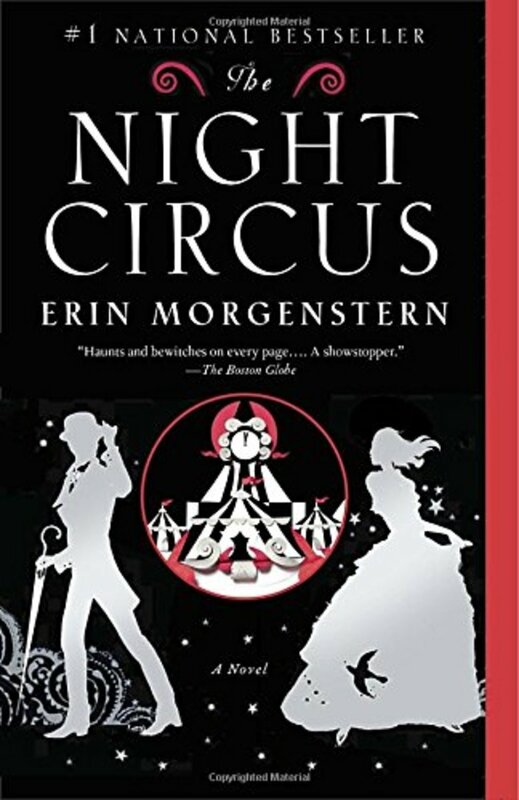 But this is a one of the best high fantasies I’ve ever read and one of the few that somehow managed to avoid the trappings and predictability of most books in the genre. I recommend this book to everybody. 4 smoothies out of four. Overall Rating: A Tale of Man in a High Fantasy World. Share your opinion. What did you think about the book?